People think they know three things about Angelenos and our aspirations. The first is that we want our own space and will embrace sprawl and long commutes to get it. The second flows from the first: that we worship the automobile and the sense of freedom it symbolizes. The third is that although we celebrate “diversity,” we are prone to conflict, particularly along racial and ethnic lines (think of the film Crash or the 1992 riots, which still loom large in the country’s collective memory). Today, those three things are not merely wrong; they describe a city that is rapidly receding into the past. 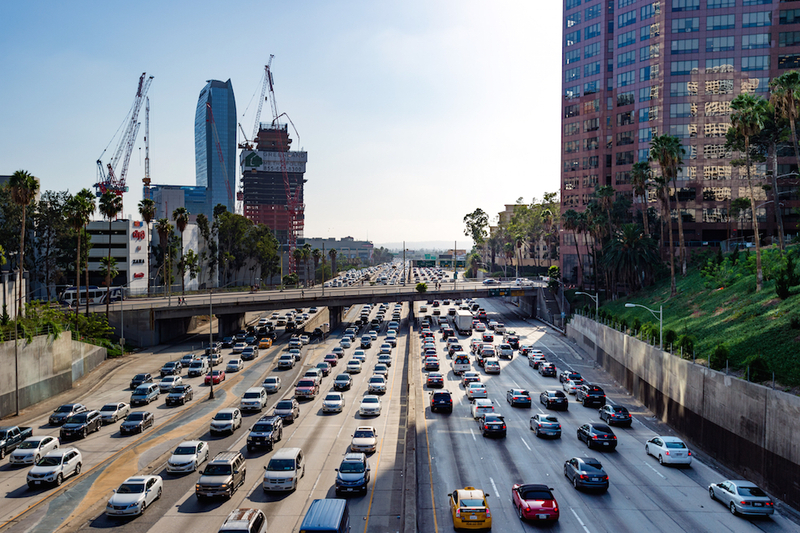 Los Angeles and its people have changed—whether we’re talking about sprawl, cars, or conflict. Our aspirations for ourselves and our future have changed, too. Today, the hottest neighborhoods in Los Angeles are not far-flung suburbs but enclaves close to the center—Echo Park, Silver Lake, Highland Park, and downtown itself—while the most tattered areas are older “inner-ring” suburbs that were the traditional stepping stones to the American Dream. Today, this region is now spending $40 billion of its own money on mass transit, combining rail and bus rapid transit expansion with a new mobility plan that puts roads on a diet and creates more space for transit, pedestrians, and bicycles. And while our conflicts aren’t over, Los Angeles has become a paragon of multicultural organizing, with social movements successfully pushing for a higher minimum wage, more community policing, and a broader embrace of immigrants, especially undocumented immigrants. It is understood that the city is having a comeback, but it is not well understood just how different the city already is. Los Angeles is not restoring itself or merely updating itself and its dreams of the future. The city is reinventing itself in ways that are leading its people to reimagine what the place could be. If our aspiration in the past was a bungalow with a lawn, our aspirations now are to have important public spaces, like the new Grand Park downtown, or shared places to play, like the newly rejuvenated Martin Luther King, Jr. Park on Western Avenue in South L.A. If in the past we wanted fast cars and the open road, we now aspire to be free from auto payments, insurance charges, and impenetrable traffic. Mobility is the real goal: My own kids use mass transit, ride sharing, and their own two feet in ways that make their days a lot easier, and I’m following their lead. If Angelenos’ past aspiration was to live in separate, safe, and carefully defined communities, our aspiration is now to be in mixed and inclusive communities. Los Angeles, a city famously without a center, now finds itself home to multiple centers with dense rental housing, walkable streets, and concerns about gentrification. Another highly significant change: the L.A. that once prided itself on defying nature—creating a port where none existed, importing water to build in a desert, perching homes within easy reach of wildfires—has dramatically cut its intake of water and launched some of the most ambitious plans of any U.S. city to cope with climate change. Our architecture reflects our changing aspirations. In the 1970s and 1980s, architects built up downtown’s Figueroa corridor and Bunker Hill with big imposing buildings that direct you to their garages and away from the streets. Compare the Bonaventure, built in the mid-1970s, with the Ace Hotel, which opened in 2014: The former is almost impossible to reach on foot (unless you take an elevated walkway that connects you with nearby shopping), and the latter almost literally grabs at the street. Or go to Pasadena, where the Plaza Pasadena mall opened in 1980 with no windows onto the street, surrounded by just a few other businesses. Today, on the same site, sits the Paseo Colorado, a development that literally cut up the mall to create pedestrian access to the revitalized older business district it abuts. The reworking of downtown Pasadena reflects another reality: Reinvention now means recycling. L.A. used to be about the shiny new thing. But today we try to remake spaces and infrastructure, rather than toss things away. We are recycling old buildings into lofts. We are resurrecting old rail lines. We are choosing not to build more roads and instead repurposing the ones we have. And we are taking the L.A. River and making it a grander connecting link through our city and region. It is not just our physical infrastructure being remade. L.A. was once known as the wicked city, not because of Hollywood sins but because it was virulently anti-labor, and proud of its open shop. When I was growing up, those of us on the left would look to the Bay Area when we dreamed progressive dreams. Today, with powerful labor groups and social movements, it can feel like L.A.—and not the increasingly expensive and out-of-reach Bay Area—is the best example of what a more inclusive future might look like. Big changes can happen here. Mayor Garcetti proposed a $13.25 minimum wage, a goal that seemed bold; labor and community pushed even harder, and the city council raised the wage to $15. Too many of us—particularly people who are from Los Angeles—are stuck in the old vision of who we are. Do you know the hardest people to get onto mass transit in Los Angeles? The people who grew up here. The easiest people to get on transit are the newest arrivals, who learn quickly that the growing Metro serves their needs (and leaves them more time to be on their smartphones). In this new L.A., we must also rethink our past polarities. We can promote entrepreneurship and raise the minimum wage. We can allow for higher density and raise the quality of everyday life. We can take away lanes for cars and improve our ability to move across this city. We can revitalize distressed areas and work against the displacement that redevelopment often induces. Most of all, we can pursue our separate dreams and be connected to the city and to each other. Today’s Los Angeles may still be a special city, a place apart. But it aspires to be closer—to itself and to all its residents. Manuel Pastor is professor of sociology and director of the Program for Environmental and Regional Equity at the University of Southern California. His newest book, co-authored with Chris Benner, is Equity, Growth and Community: What the Nation Can Learn From America’s Metro Areas. This essay is part of Is L.A. Still a City of Big Dreams?, a project of Zócalo Public Square.